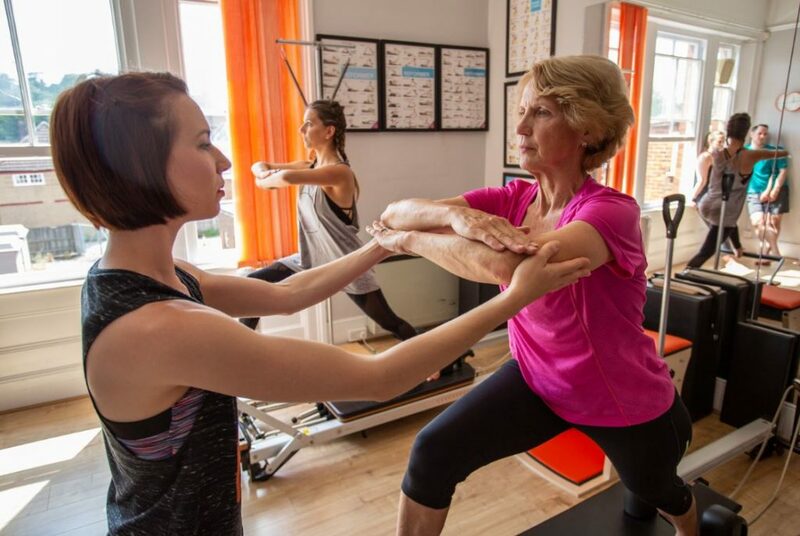 “Reformer Pilates” or “Dynamic Pilates” are the buzz words in the fitness industry now. Group Reformer classes are popping up everywhere, promising the burn to sculpt those butts and abs. But with modern Reformers built differently to Classical ones, can you be sure who is doing the work; you or the Reformer?! 1. To improve by alteration, correction of error, or removal of defects. 2. To put into a better form or condition. Joe Pilates created his method Contrology as a personal mission to reform the world, one body at a time. Following a lifetime of studying the human body and movement and watching animals move, Joe realised the body could only function the way it was meant to if we moved the way we are meant to, and most people just werent! Even in the early 1900’s he talks about our sedentary lifestyles and imbalanced thought processes to stretching something, and another time strengthening it. Joe created his Pilates as an exercise system that brings us back to the way we learned how to move as a human being in the first place, to bring balance to the body and to it work efficiently without dis-ease. But the Reformer is just one part of a bigger Pilates jigsaw! Without the other pieces of apparatus, sure you’re getting a workout, it might be giving you lessons about what needs working on but you need the other apparatus to make those changes, bring a truly unique and authentic difference to your body and to your work. Is it time you got off your Reformer and looked at the bigger picture?! Now, there are many varieties of Reformers. A modern take on the Classical Reformer has gone through many alterations to the blueprints crafted by Joseph Pilates. The changes in the original measurements, dimensions and the way the mechanics operate have changed the Reformer to suit the comfort of the body rather than allowing the body to adapt through the method! It changes the whole work; how you can move, where the line of pull comes from, the efficiency, the load bearing and where and how you feel it. With Classical Reformers, the manufacturers still adhere closely to those original measurements and mechanism. This allows the Reformer to be an assistant to ourselves and to the teacher. The Reformer becomes less of a piece of machinery doing the work for you to bring your back in but teaches you how to resist and close the carriage yourself. Try if for yourself. On a modern Reformer, when you take the springs off and push the carriage away, it starts to slowly roll back in. That’s because of material of the wheels and the track it sits on. It feels like a lovely smooth ride but in simple terms, it’s helping you come back in! On a Classical Reformer, the wheels are rubber, on a gritted track, coupled with your body weight on top, means a traction and drag that doesn’t allow the carriage to smoothly ride home- YOU have to all the work! 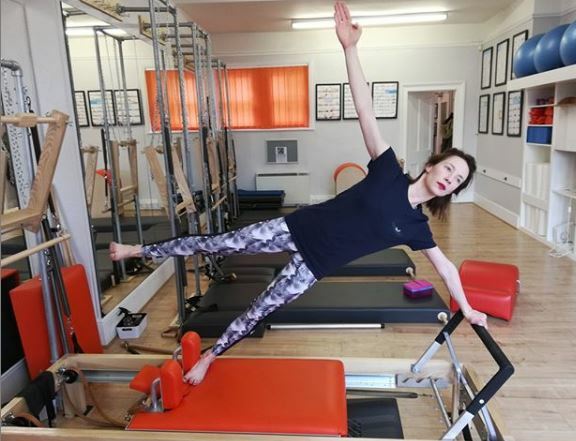 At first you might think “This Reformer doesn’t work” if you are used to the smoothier easier ride, but you soon learn you need to find that scoop, work the tailbone action, get the lift and connect deeper into your powerhouse. Who’s doing the work now? Try the Elephant on the Reformer on a Classical Reformer and make up your own mind! Cue sweating…..